Do you have a suggestion or question for us? Just e-mail, call, or write us with any suggestions, comments, or questions you may have about our products, services or your account. Please do not include personally identifiable information in an e-mail. E-mail is not a secure form of communications. With the VoiceTeller you have 24-hour link to the Credit Union. All you need is a touch tone telephone and a VoiceTeller Pin number and you can actually access your credit union accounts from your home, office, or car 24 hours a day seven days a week! 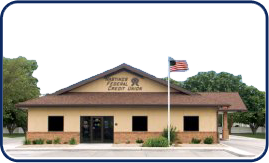 To get your pin number and instructions, please call the credit union office.